Please note Identification & Address confirmation is an obligation we have to meet for our landlords, if you cannot produce these please contact HelpMeRent.co.uk and explain the nature of the issue for further advice. Reason for wanting to be referenced? Tell us whats going on? To complete the pre-application referencing to the best of our ability we need to know what your reasons are. By ticking this box you are confirming that you have completed this section honestly and truthfully. We want to know about you ! Is there another applicant in your life? This persons details will not be referenced. If this person wants to be referenced they will need to complete a form for themselves. The info below is to inform HelpMeRent.co.uk of a relationship between you and another prospective applicant. Have you ever been in Rent Arrears? If you answered No please call HelpMeRent.co.uk & reverse the charge. We eat, sleep & breath HelpMeRent.co.uk Where do you work? Is this Address where you turn up for work? If you don't attend the Address above daily for work, where do you go? Who can we contact for a reference? I agree to HelpMeRent.co.uk Ltd making whatever enquiries, including a credit check, as they deem necessary in connection with this pre-application referencing. I understand by completing this pre-application referencing form, the result will provide me with an understanding of my rentability and I understand the outcome of this referencing process cannot be wholly relied upon when I try to rent a property through another agent. HelpMeRent.co.uk Ltd will endeavour to provide an accurate assessment of your rentability in an open and transparent manner. We are socially active ! 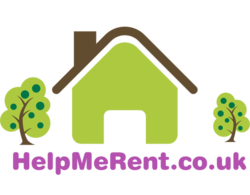 HelpMeRent.co.uk provided us with a professional, personal and honest service throughout the whole process of renting our property. Craig communicated with us at all times with regular updates on applications along with potential viewings. Once he was satisfied he had found the "right tenants" to rent our property he arranged for us to meet them which gave us the opportunity to spend time with them. References are an integral part of the process with no stone left unturned. Health & Safety is also not compromised with a full electrical inspection of the property to include the installation of hard wired fire alarms, heat detectors and carbon monoxide alarms. A full Management service is provided with inspections carried out every 12 weeks in addition to their initial inventory sign off giving us a peace of mind that our property is being looked after and maintained. We have already recommended the team to friends who are looking to rent their property.